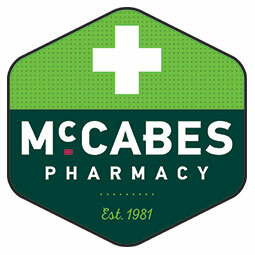 McCabes Pharmacy is one of Ireland’s most loved pharmacy providers. Founded on core values of compassionate care, advice you can trust, speedy service and excellent value for money, the patient and customer are truly at the heart of all that they do. Founded over 35 years ago in 1981 by Roy and Margaret McCabe, the organisation has grown from a single pharmacy in Malahide, Co. Dublin to a group of 28 pharmacies across Ireland. Operated by over 60 amazingly caring and knowledgeable pharmacists, and supported by over 400 highly trained front line staff, McCabes Pharmacy aims to be the most convenient place to get your prescription dispensed. Roy and Margaret McCabe emigrated from Ireland in the late 1960’s to Perth Australia. There, Roy had the opportunity to return to college and train as a pharmacist. Buoyed by the innovation and ideas that they witnessed in the pharmacy profession in Australia, Roy & Margaret returned to Ireland in the early 1980’s with their young family to set about being at the forefront of primary healthcare innovation. McCabes Pharmacy has been a pioneer in introducing value for money pharmacy healthcare services and products to the Irish public. Now in it’s second generation of ownership, the business is still fully Irish owned by the McCabe family who are dedicated to representing, contributing and working with and for the communities which they are located.